What is kidnapping? kidnapping is the crime of unlawfully seizing and carrying away a person by force or Fraud, or seizing and detaining a person against his or her will with an intent to carry that person away at a later time. In criminal law, kidnapping is the taking away or transportation of a person against that persons will, usually to hold the person in false imprisonment, a confinement without legal authority. 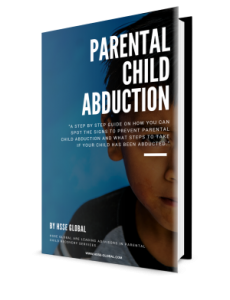 This may be done for ransom or in furtherance of another crime, or in connection with a child custody dispute. Is growing at a rapid rate. Cases are on the rise to return children from Western and Eastern European countries, the Middle East, North Africa and the Far East. 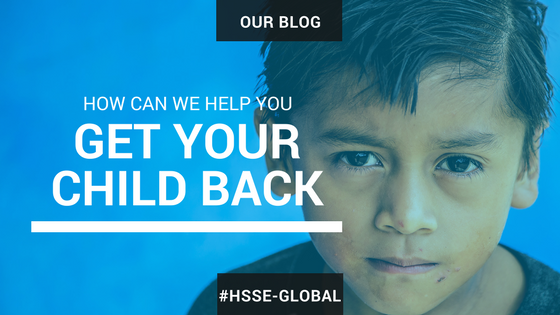 There are very few companies that are currently offering the services that HSSE-GLOBAL can provide and those that do offer these services claim to be a lot more than they actually are. HSSE-GLOBAL personally knows other recovery companies and there is a large difference to what they claim to have as assets and what they actually have. 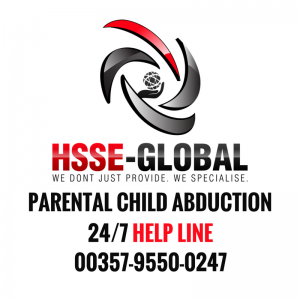 Parental Abduction is very traumatic for both the child (children) and the parents. A number of cases have risen dramatically but we can help you with your case.